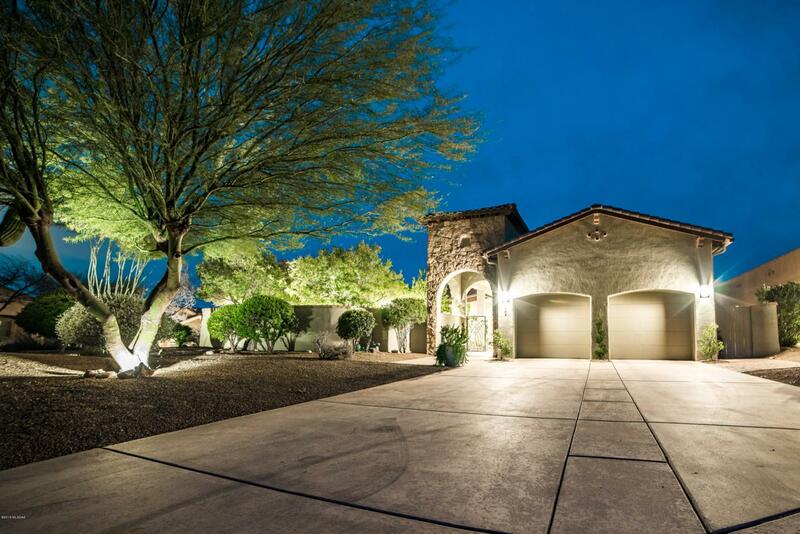 Looking for a gorgeous, semi-custom home on 1/3 acre with a pool, views, and upgrades galore? Then look no further and don't miss out on this one-of-a-kind find! 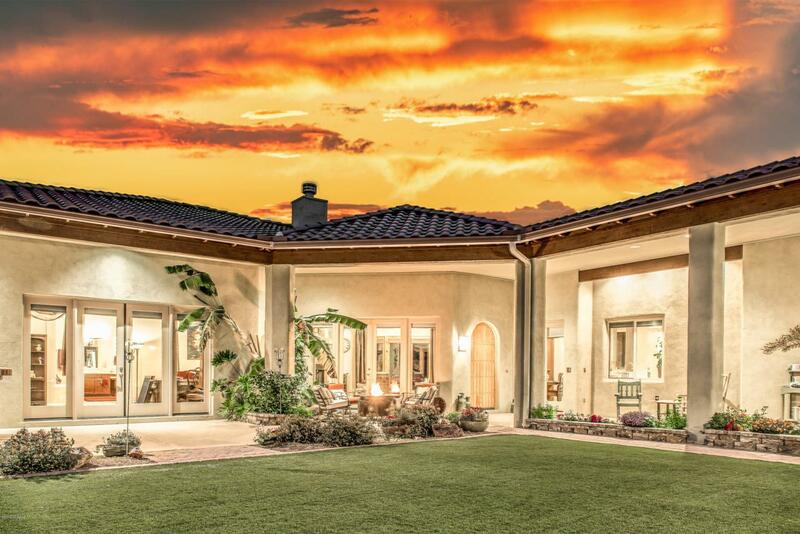 One of the last Baird built masonry construction homes in the Bluffs in Dove Mountain, this home won't disappoint. Guests are greeted by a super-sized courtyard offering a custom outdoor fireplace, BBQ area as well as an inviting garden. You can enjoy the outdoors, or head inside and feel the warmth and openness of what makes a Baird home truly unique. 12' ceilings, walls of windows, travertine tile and an open floorplan create an ambiance hard to find in traditional homes. The great room flows in to the impressive kitchen which boasts granite counters, SS appliances and plenty of cabinet space along with a breakfast bar andcustom island to satisfy the most discriminating cook! The oversized master bedroom has space for an office or sitting area. Two walk-in custom closets provide an abundance of storage and help create an impressive master getaway. There is a spacious guest bedroom with an adjacent bathroom; and a large den that can easily convert in to a 3rd bedroom if needed. 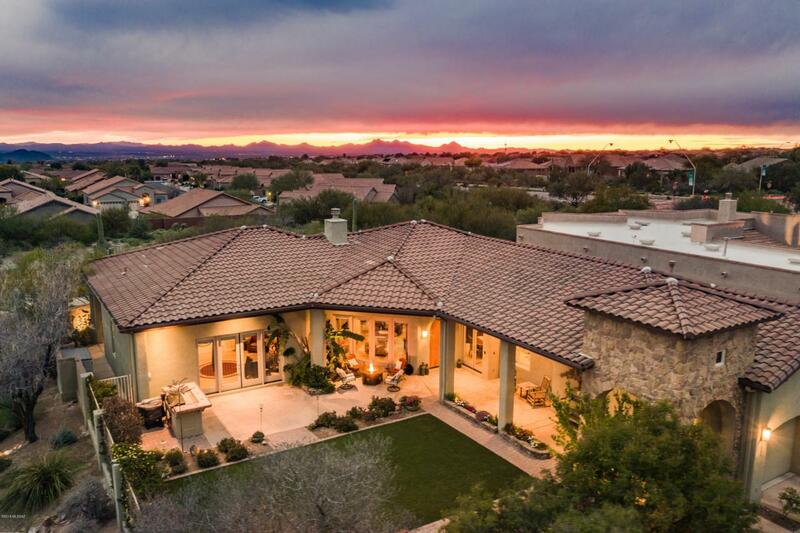 The backyard provides the 'cherry on top' and completes this Tucson retreat. Here you can enjoy a heated PebbleTec pool & spa and watch those summer sunsets. 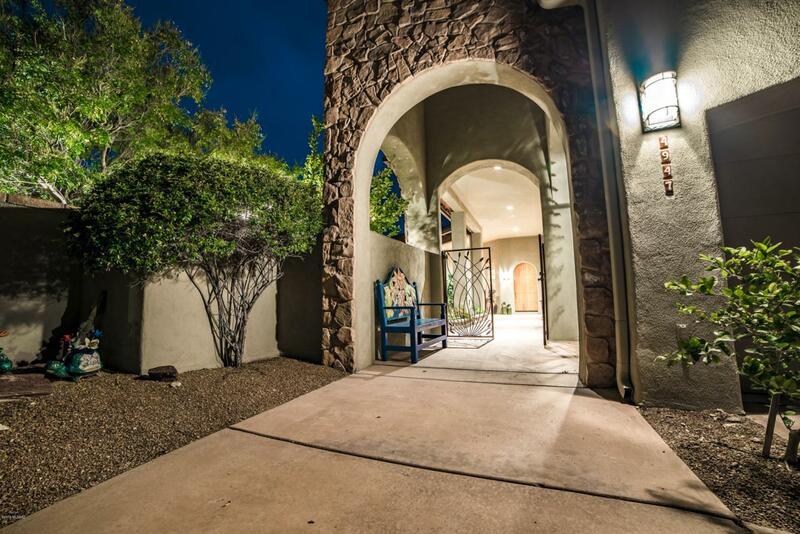 A true oasis in the heart of Dove Mountain... come experience Tucson living at its finest!